Hydra is an author-centric publishing company; a small press looking to grow into one big family along with our authors. Our unique set-up allows for direct communication with the owners, quick turnaround unheard of in the industry, and affordable prices while still keeping royalties high. Two years ago I found myself in a publishing nightmare. The company I went through had been charging me for things that weren’t getting done and treating me like I wasn’t worth their time, all the while charging me massive amounts of money that I really couldn’t afford! Then I was introduced to Hydra Productions. Not only did they answer all my questions, gave me advice and agreed to republish my series for a fraction of the cost! Instead of putting one a year out, I will be able to put two out plus other works as well! I would recommend them to anyone and have. I currently send all my aspiring writer friends to them to be published. They have become friends and family and I wouldn’t have it any other way. They treat you like you are a priority, not just a cash flow. I am proud to say that I am a Hydra Productions author! Working with Hydra Productions has been a really great experience for me thus far. The website is well laid out, the submission process is clear and simple, and the owners very easy to work with. I received feedback within 24 hours, and when an offer for a publishing deal came, everything was very transparent. Each part was discussed before being put on paper so there were no surprises later on when the contract arrived. I hope to work with Hydra Productions for quite a long time due to their approachable and transparent way of doing things, and their “small business” feel of treating us like friends and family more than a money source. What can I say, well it was an author friend that introduced me to Raven and Hydra Production as a budding new author I did not know what to expect and was nervous. When I met Raven, she immediately put all my worries at rest, explaining the process and what I needed to do. Within hours I had my first contract I was going to be a published author a dream come true. Since signing with Hydra, I have found them to be professional and always willing to answer any question any of us authors have. 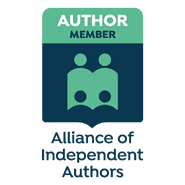 They have created systems to help each author grow and expand we are a support network for each other. Hydra especially Raven has built a trusting family, and we want to help each other be the best we can be. Since signing up my first book, I have signed up for three others to be released over the next 18 months with a possible three book series the following year. All because of the support and encouragement that has been given by Hydra. I would recommend them to any new author or even a seasoned one.